I read today an article by Cameron Cole of the Rooted blog. 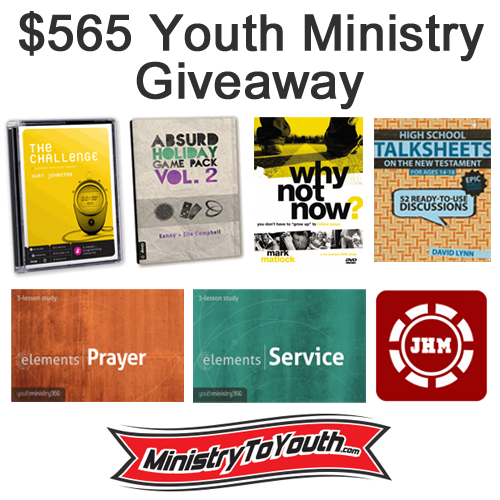 He posted this article on the Gospel Coalition site, 5 Tools Needed to Reach Today’s Teens. I must say that I fully agree with these points, but I believe there is an even bigger more essential point that Cameron assumes on the outset. One that cannot be understated or glossed over. Before I reveal my additional point to his 5 tools needed, let me summarize his article and recommend you read it in full to get a much deeper appreciation for each point. Knowledge about the canonization of scripture: More often than ever we face questions concerning authority. 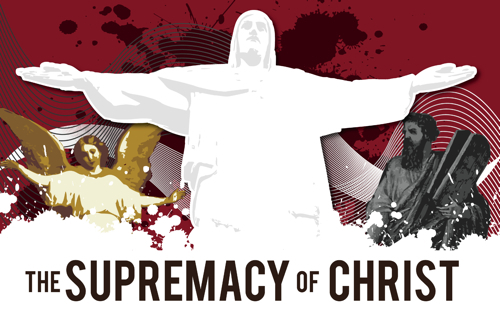 How can we be sure God’s Word is authoritative for 2013? If teenagers do not trust the bible, they will not have the foundation essential for Christian doctrine or practice. Developed Theology of sexuality, especially homosexuality: Teens today are bombarded with competing truth claims. We need a balanced and biblical answer for these questions. If we do not speak boldly with truth and compassion on these topics, the biblical message will be drowned out in a rising tide of unbiblical messages. While homosexuality is a hot topic, we need a balanced view of all aspects of sexuality. Teens need instruction on what a proper biblical heterosexual relationship looks like, as much or more than warnings of improper relationships. The ability to teach the Bible in the greater context of redemptive history: While telling your own story is important, teens today want to be connected to a bigger story as well. They want to know there is meaning and purpose behind how we got to where we are today. Explaining the grand narrative of redemptive history and then describing our chapter in that story is very powerful. A Theological, not only moral, understanding of Sin: This is very important. Teens need to understand the eternal weight of actions not just focused on consequences in relativistic society, but in a view of an eternal, unchanging, completely perfect God. Teens today recognize the futility of just slapping sin on the wrist, but need to understand why. Understand Adoption as an Element of Salvation: In a culture of divorce and superficial relationships the opportunity to be a part of a true community can be life changing. Teens place a huge value on relationships. Since this is true, the biblical concept of “Koinonia” (greek for doing life together, i.e. 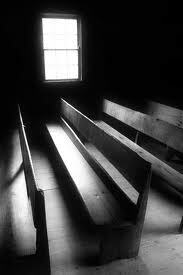 fellowship) when righty applied in a church should be a significant factor in discipleship and life change. Teens long for meaningful relationships, this need is met first in Christ and then His bride. Read the full article by Cameron Cole. It reminds us of the inside life that teenagers really are living day to day. To best reach this generation we need to understand how to connect. Which brings me to my addition. In my 6+ years of full time youth ministry I believe a colossal step is being assumed by Cole, that needs to be clearly articulated constantly to all adults who work with teenagers. This is so important that all the above points completely lose thier meaning when this is absent. Personal Holiness and Passion Cannot be Faked: If you want to work with teens, prepare for your life to be examined and imitated. Teenagers can detect a fake in a heartbeat and once this is sensed they will turn off. 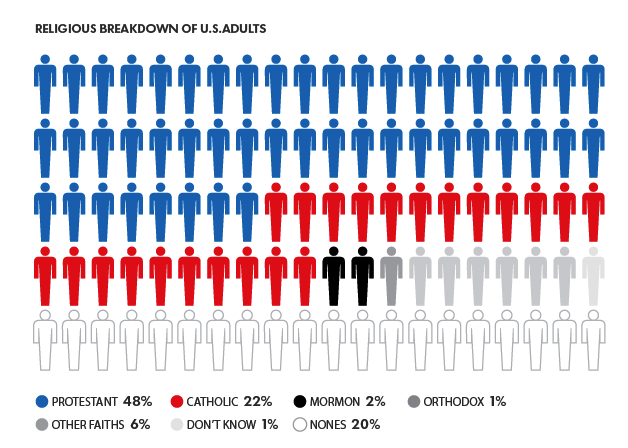 Why do teens leave the church? In many cases it is because they see conflicting examples in their parents on whether or not church is important. As a leader, it doesn’t matter if you can wax on the details of the Canon, refute homosexual marriage, and recite the history of the church. If you are dead spiritually, do you really want mold teenagers in that same pattern? To be open and honest with a growing relationship with Christ is what teens need to see first. Before any other questions come up they have got see something real in your life. This cannot be assumed, it must be intentionally cultivated in the life of any christian, leader or not. I am so thankful for guys like Cameron Cole who are striving to make youth ministry better. We all benefit from reminders like this. And it is my prayer that I can add to the conversation and push us all one more step toward Jesus. Lets face it, social media is part of life. It is a two edged sword if you are not careful how it is handled. When working with teenagers we have an added responsibility to model how to live and act, even in the online forum. I ran across this helpful article by Phil Bell of Youthworktalk.com and forwarded it on to my small group leaders. Here are his wise suggestions for some boundaries regarding the powerful tool of social media. 1) Accept that leaders live in ‘glass house.’ This is hard to accept, but when you are in ministry and you are using social media, it automatically means that you are under the spotlight. Leaders, parents, and students are looking up to you and will often follow you for inspiration, guidance, and hope. On the other hand, others will follow you to get an inside track to see whether you fit their mold of an acceptable youth worker. Like it or not, the reality is that a leader is always watched closely. What are others seeing? 2) Wait to be Friended or Followed: If you don’t know a student well, wait for them to friend or follow you. I know this might seem a little extreme, but unless I know a student quite well, I will wait for them to friend me. If there is a student in your ministry who is new and getting plugged in, it might be worth waiting for them to friend you. Waiting for a student to ‘friend’ you simply avoids any weirdness and ensures they are happy for you to get an inside track to their life. It opens the door for a relationship to partner with parents. It avoids parents wondering what your intentions are. In this day and age, parents are protective when other adults contact their kids, and rightly so. Honor parents by touching base and letting them know who you are. 4) Consider carefully what you post: Here are three things that can get you in trouble. Questionable pictures: In certain social media platforms such as Facebook, you can create a setting that gives you the option to ‘allow’ pictures you are tagged in. Ensure that the pictures of you will always allow others to see you in a positive light. Complaints: Complaining about others simply does not look good. It shows weakness that we can’t talk to the person directly as well as modeling a poor method of dealing with conflict. Controversial Issues: For me I don’t post anything that could divide people in my church. Political statements, local controversies, and attacks on political leaders should be avoided. In what you post, would others describe you as a divisive and opinionated person, or a inspirational leader? 5) Leverage social media to inspire and uplift: This should be a given, but many of us have discounted the great value of regularly posting to inspire others. As I said at the beginning of this post. People are looking for hope and direction. Consider what influence you can have by using social media effectively? The Band has been rockin’, the speaker has been bringing the Word. Disciple-Now is in full swing this weekend for my ministry. The students just finished up a video scavenger hunt and have gone to a few hours of free time before our next session. In this moment to breathe I have decided to type up a quick blog on some of my methods. It was on my mind last night when I couldn’t sleep because I was thinking of all the details for the next day. If you work with teenagers, I hope this encourages you to take your next event to the next level. Here are 5 reasons why I write my own material for event weekends like Disciple Now. It’s Free– When paying for a band and a speaker, hotel rooms, small group leaders, travel expenses, and the list goes on, here is an area I can save money. If you preach every Wednesday anyway, this is not very different study-wise, other than I just give the material to someone else to teach. By writing my own material I can maximize the funds toward keeping the cost low for the students. This year I charged $10. Bam. Success. There are lots of students who don’t participate in camps and retreats because it costs 100s of dollars. This is an event I want any and every teen to be able to come to. A little more work on my end helps keep it that way. Be Theologically Rich– Even though it is free, that doesn’t mean when you write your own material it will be lame! I make sure we tackle deep subjects and dive into the theological deep end! When you purchase a pre-packaged curriculum you do not know the theological leanings of the writer or the depth to which they will challenge your students. I want my students to have the best, so why would I leave that up to an unknown author? This weekend we are looking at Ephesians 3 – a theological treasure trove! Oh yeah! The Exegetical Approach– On the heels of #2, I really believe every verse in scripture is important for believers. If that is true I want to instill that into my teenagers. When we take a whole weekend to unpack a single chapter of the bible, that is one message that is communicated. Also when you systematically approach a text, it makes it easier to see the bigger picture the author intended to communicate. I believe this also provides cohesiveness to the weekend. Each time we gather the students know where to turn in their bibles. I have not found any national chain producing exegetical material for events like this, possibly with the exception of Global Youth Ministry, but then again, refer to point #1. I know my group– When you write your own material you can tailor it for your specific group. While God can use anything and anyone to speak through, I doubt that same d-now material being used by 43 other churches this weekend can intentionally speak to the subtleties of a specific group better than a prayerful pastor who spends every week with them. So why not use a weekend to address what you want to see happen! It helps when another voice comes in and says the same things you have been saying all along. Graphics don’t have to be intimidating– “I cant make great looking flyers and promo material!? !” For real, don’t be scared, you can. Here are two things that make life super easy when it comes to promoting your event. Cool Fonts and Stock Photos. Combining these make great stuff. 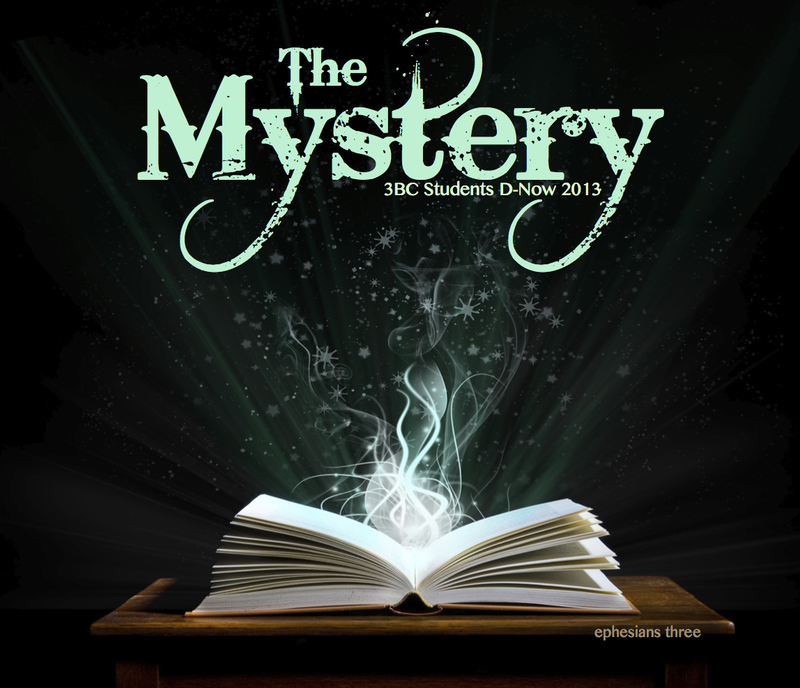 My d-now was themed “The Mystery”, below is a cool stock photo and a cool font to title it. Bam, easy promotion. Sites I uses for photos are istockphoto.com and Bigstockphoto.com. 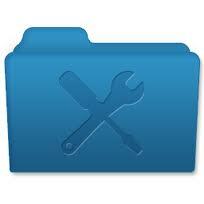 Make an account and spend a few buck on a high res picture with no copy right issues for your next event. Then go to dafont.com or just google “free fonts” and get some fonts that really add depth to your flyer. It’s not that hard and for a couple bucks you can have a professional looking flyer/promo that corresponds to your personalized material. I hope these thoughts help as you plan your next d-now or retreat weekend! Pray for me as we wrap up ours! May God be glorified by your efforts! The internet provides unparalleled access to information and communication for our generation compared to all the rest of history. Yet with the world at our fingertips there are dangers to beware. This is especially true for teenagers who lack the discernment and maturity of an adult, yet who have more interaction and access to the web with the rise of mobile devices. In a recent release called “The Digital Divide”, McAfee Software Company revealed insights from their study of teen online behavior and parental knowledge. On average, teens spend about five hours a day online, while parents think their kids spend two hours a day online. Ignorance is not bliss. This is not an issue that parents should ignore. This is the age we live in and we must be responsible in it. This was a crazy statistic. Half of teens claimed they would actually change their online behavior if they knew their parents were watching. The key for parents is to find healthy ways to facilitate transparency with their kids without becoming overbearing. One healthy step in which parents can facilitate this transparency is by engaging their teenager in ongoing dialogue about their online habits. Parents can set up both responsibility and accountability for online behavior. 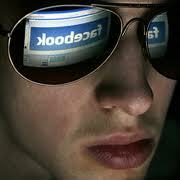 Youth leaders can also provide a safe environment for students to disclose what they’re really doing online. As students head back to school, how are you talking with them about their online lives?